Hello! 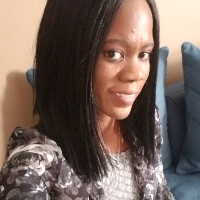 I am a Licensed Professional Counselor with various experiences in working with children, adolescents, and adults in clinical, therapeutic, and volunteer capacities within the mental health field over the past 10 years. I have experience in working with individuals, groups and families that have been challenged with Anxiety, Coping Skills, Depression, Domestic/Sexual Abuse, Anger Management, Emotional Disturbance, Family Conflict, Grief, Identity Issues, Life Transitions, Parenting, Peer Relationships, Racial Identity, Relationship Issues, Self Esteem, Self-Harming, Stress, and Trauma. My work engages a best practice and collaborative approach to client work, drawing from a variety of therapeutic techniques and approaches (ex: Person-Centered, Cognitive Behavioral (CBT), Existential, Family Systems, Interpersonal, Mindfulness-based (MBCT), Motivational Interviewing, Narrative, Play Therapy, Music Therapy, Reality, Relational, Solution Focused Brief (SFBT), Strength-Based, and Trauma Focused) to best support in identifying the needs of the client and to assist them with developing effective coping skills to create alternative solutions. I also mix authenticity, humor, challenge, and trust in therapy to build strong working relationships with clients and facilitate safety in the therapeutic process. Take the first step to help and contact me to schedule an appointment. Christa is amazing! I feel really confident in her and her insight! She is able to see where I want to go, and is able to help me take charge of the path. She is such a great listener and really engages with me. Thank you, Christa! Christa is very patient and understanding. She asks the right questions to figure out what's on your mind and its clear she has a lot of experience. Overall, highly recommend. Christa is always friendly, and really works to be available when she is needed. She's helped identify problem areas in social interactions and my own cognitive processes, provided assistance in minimizing or solving such problems, and then checks back in to see how I'm doing. She really is great. Would you like to write a review for Christa Benton? We'd appreciate if you can spend a couple of minutes to write a short review for Christa Benton (MA, LPC, NCC). This review would be shared with Christa Benton. It may also be posted in our website or in Christa Benton's profile but it would be anonymous and your identity would be kept completely confidential.